Protecting and improving the Miller Dam Lake Area by promoting outdoor activities and encouraging management and conservation of natural resources. 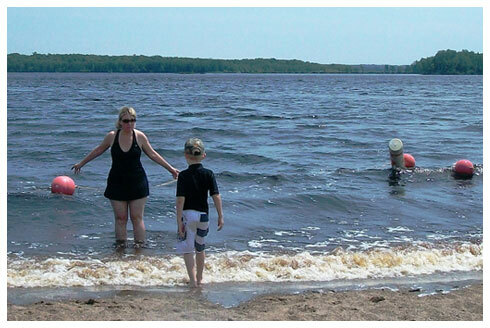 Miller Dam Lake, also known as Chequamegon Waters, has been touted as the premier bass fishing lake in the Midwest. 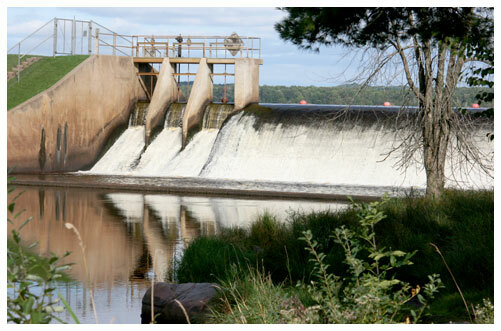 Miller Dam Lake is located in Taylor County Wisconsin and has remained a popular family fishing area for years. Fishing is year round on the lake, with 3 boat landings and shore access in the spring and summer - but probably most loved for ice fishing in winter. Miller Dam Lake is the gateway to the Chequamegon National Forest which provides outdoor activities for many enthusiasts with miles of trails for hiking or snowshoeing. Groomed snowmobile and ATV trails surround the Lake also. The area is a hunter's paradise, noted for small game and bird hunting, duck hunting, along with an abundance of white tail deer. If you choose to use your two wheels, there are abundant paved roads for biking and mountain biking can be achieved on the numerous trails in the national forest. Other outdoor activities include horseback riding, with developed trails for use by the equestrian lovers and of course, everyone's favorite, camping. There are many sites available in the Chequamegon National Forest and privately owned campsites and rental cabins are also available within a 15 mile range. Bird watching is another popular outdoor activity that is supported by the Chequamegon Bird Club; many varieties of birds can be found in and around the Miller Dam Lake area. Several small communities with restaurants, grocery stores, fuel and entertainment are available within 15 miles of Miller Dam Lake; they include Gilman, Jump River and Perkinstown. Miller Dam Lake Association incorporated in 2002 as a charitable, educational, recreational, non-profit 501c-3 organization and a DNR Qualified Lake Association. Our primary purpose is to support the protection and improvement of the Miller Dam Lake Area (also known as The Chequamegon Waters) near Gilman Wisconsin for the benefit of the public. Our sources of funding include our annual ice fishing contest, raffles, deer hide collections, donation boxes at landings, donations from businesses and other clubs, grants and membership fees. Meetings are held the fourth Wednesday night of the month at Outboards Bar & Grill, located at W13219 County M Gilman, WI 54433. 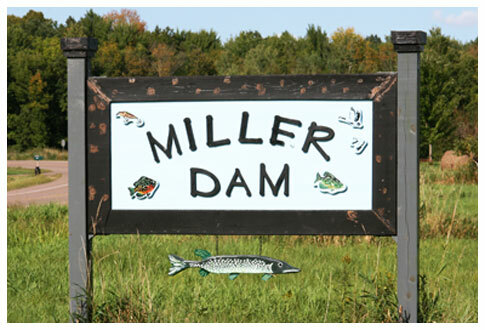 Keep up to date with the Miller Dam Lake Association Newsletter.